Recently, there has been heated argument in the society about the ethics at London Olympics among the people. 8 badminton players in double game has been banned from the tournament by throwing a game to avoid the tough opponents upcoming knockout stage. While some people are advocating that they deserved to be disqualified from the stage, others think that it was just part of strategies; it seems to them the judges are overreacting. Concerning the viability of the issue, people stand on different grounds. Before rendering my opinion, weighing both sides will bring up a sound conclusion. First of all, the people who agreed that the former opinion claimed that the 8 players have every reason to be gotten rid of from the tournament. 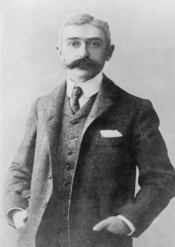 According to saying by the founder of the Olympics, Baron Pierre de Coubertin, "The most important thing in Olympic game is not winning but taking a part; the essential thing in life is not conquering but fighting well." London 2012 banner at The Monument. However, those shown behaviour throughout the qualification in badminton game reflected the downside of athletes' desire of the gold medal. The game rule has been changed from single elimination to round robin in order to increase the intensity and enjoyment of the game. But, as the 8 players have taken advantage of the game rules, it rather aggravated the quality of the game; what is worse they got booed entire game until the game ended and then they have got kicked out from London. As Participants in the Olympics, they are chosen for glittering their name and their nation globally. No matter who they are facing with, they should have shown us that they were trying their best at least. WriteWork contributors. "London Olympic" WriteWork.com. WriteWork.com, 09 October, 2014. Web. 23 Apr. 2019.